Each year, Americans are forfeiting 662 million of their precious paid vacation days and choosing to stay in the office, leading to some seriously stressed out workers. Stop with the work martyr act, people! Using your paid vacation days leads to a happier, healthier life, and while you may feel like it’s impossible to log out for a weeklong vacation, you can start with taking off a Friday to create a three-day weekend. 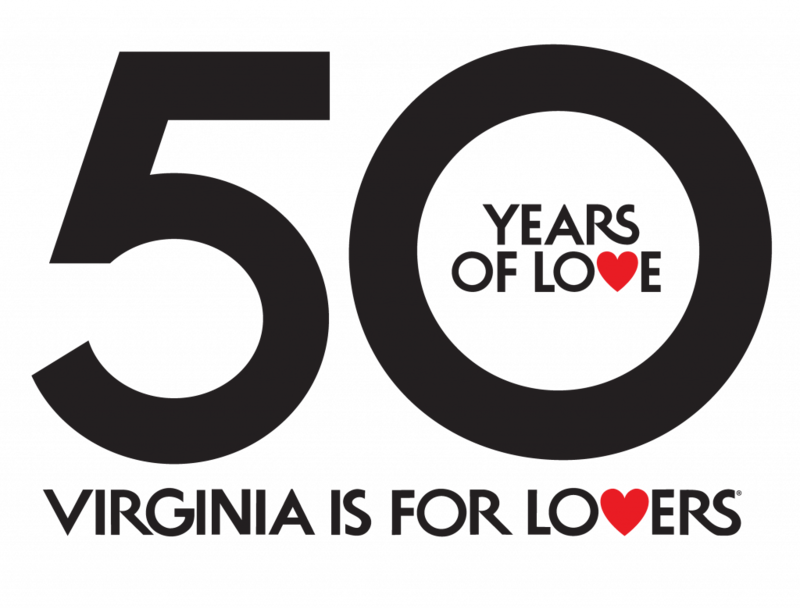 The team at Virginia is for Lovers did just that this month, spending our 72 hours exploring Virginia’s vibrant capital city. 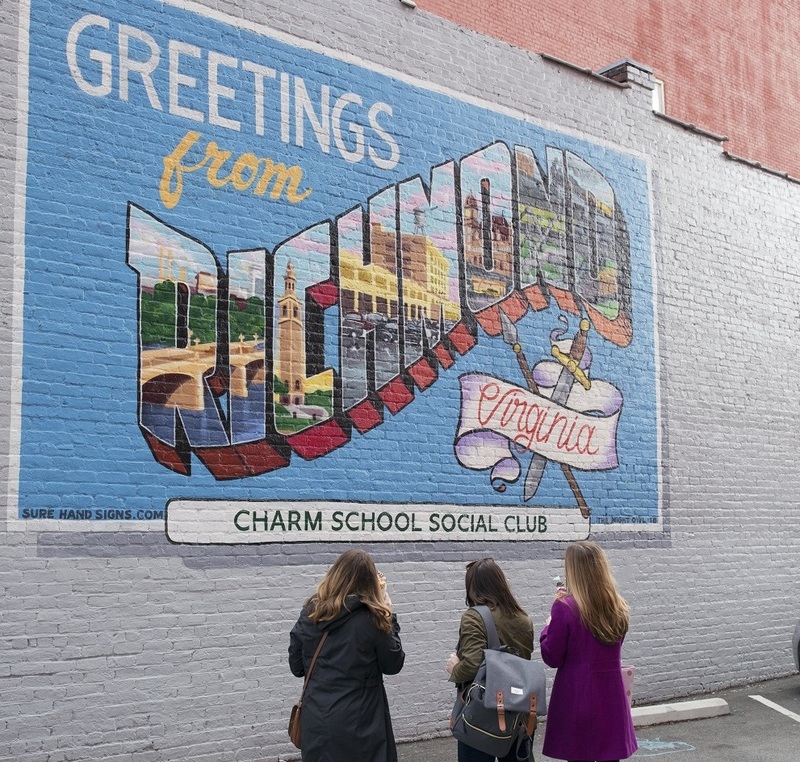 Use our detailed itinerary for a foolproof escape plan and Crush Friday in Richmond this month! Located just a few blocks from the Virginia Commonwealth University campus, the Graduate Richmond offers a prime location for your stay in Richmond. 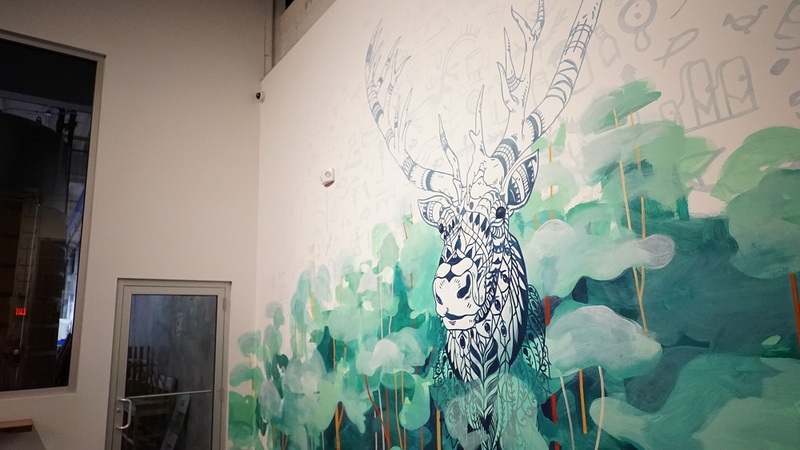 The hotel embraces all things RVA, with a lobby that pays tribute to local tennis legend, Arthur Ashe and artwork in the rooms that nods to the city’s unique music scene. The hotel frequently hosts community-centric events, partnering with local businesses for things like special themed dinners and workshops that support the Richmond community. One of the best aspects of this hotel? Pets are not just permitted, but warmly welcomed by the hotel as valued guests. 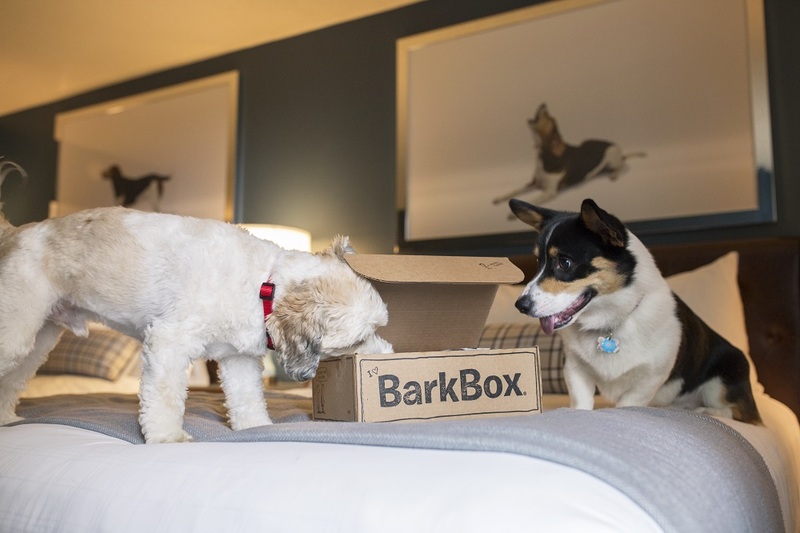 You’ll receive a custom Bark Box created just for the Graduate upon reaching your room, filled with school-themed toys and treats that your dog will LOVE (we know our pups did!). If you get hungry during your stay, stop by the Brookfield Cafe on the ground floor for a bite to eat at almost all hours, from breakfast to late-night cocktails. And starting in the spring of 2018, guests will also have a second option for dining and drinks: the Byrd House, a rooftop bar with awe-inspiring views of the surrounding cityscape. Once the weather allows, we recommend kicking back with a cocktail while lounging by the rooftop pool. 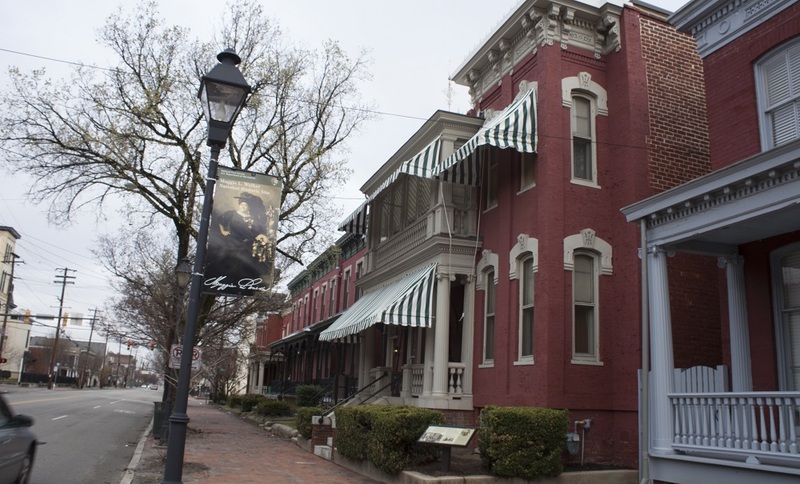 Richmond is packed with history, so we thought we would push back breakfast and start the day at an inspiring destination: the Maggie L. Walker National Historical Site. Walker spent her entire life working towards equality for African Americans, especially women, making countless important contributions that helped lay the foundation for future Civil Rights movements throughout the United States. Before visiting the museum, watch a short film that details Walker’s rise from an African American woman born at the end of the Civil War to a community leader and hero. Continue the tour next door at Maggie Walker’s historic home, allowing visitors a chance to walk the same halls as this distinguished Richmond resident. After leaving the museum, head to Sub Rosa Bakery in the historic neighborhood of Church Hill. 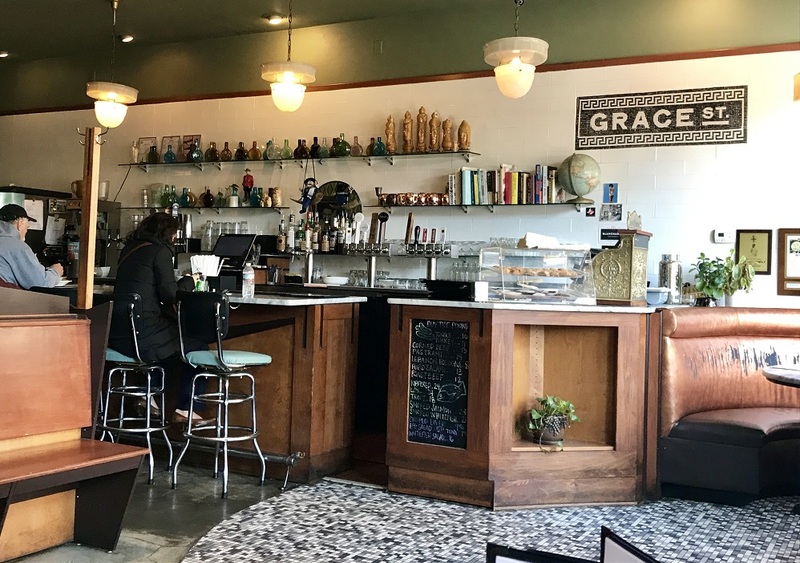 This bakery is a Richmond favorite, crafting traditional Eastern Mediterranean breads, pastries, and tarts using old-school methods like grinding the heirloom wheat in a stone mill and baking in a wood fired masonry brick oven. Sub Rosa has a dedicated following, so don’t be surprised if there is a line of people already queued up for breakfast, but the service is fast and efficient, with pastries served up within minutes of ordering. 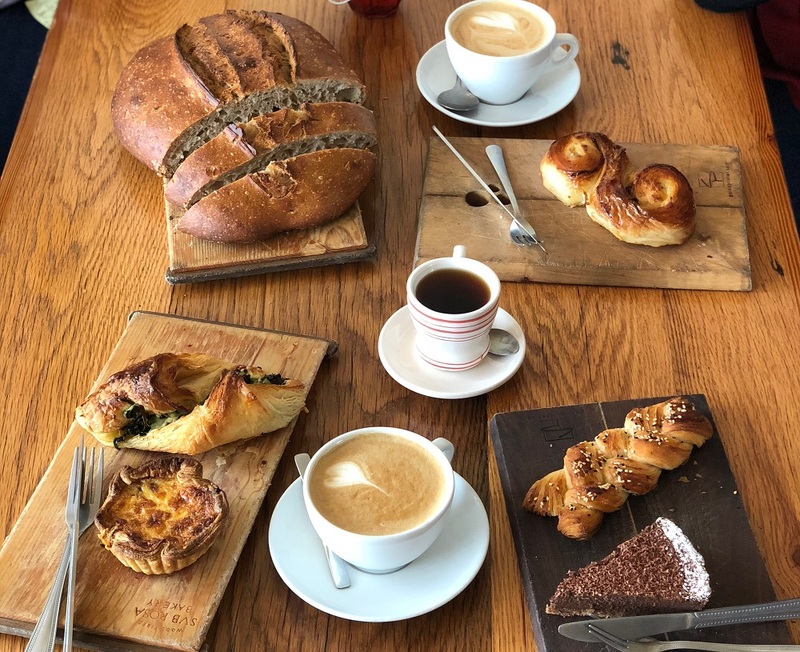 Pair your breakfast with one of their specialty coffees, espressos, or teas for a caffeine boost, then grab a seat and watch the bakers work their magic as they kneed doughs, prepare the pastries, and shuffle the bread-based treats into the fiery stone oven. 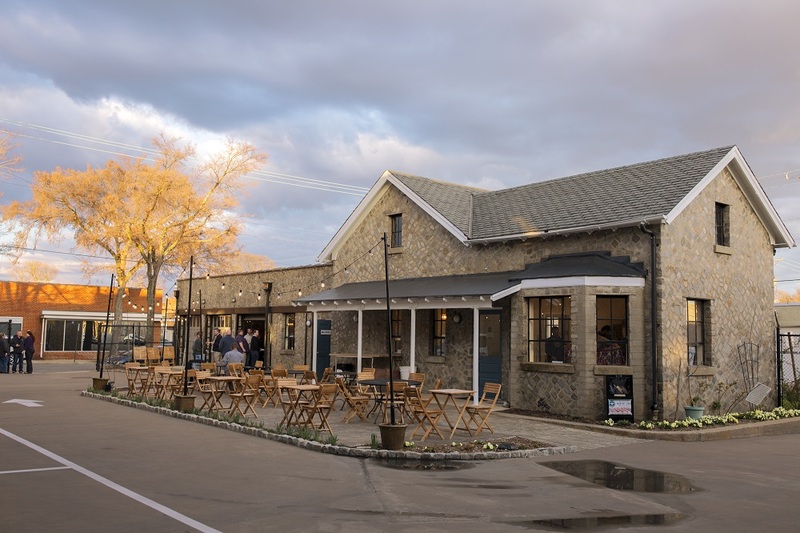 Walk just a few blocks down the street to Roaring Pines, an old-fashioned soda bar and general store where you can channel your inner child. 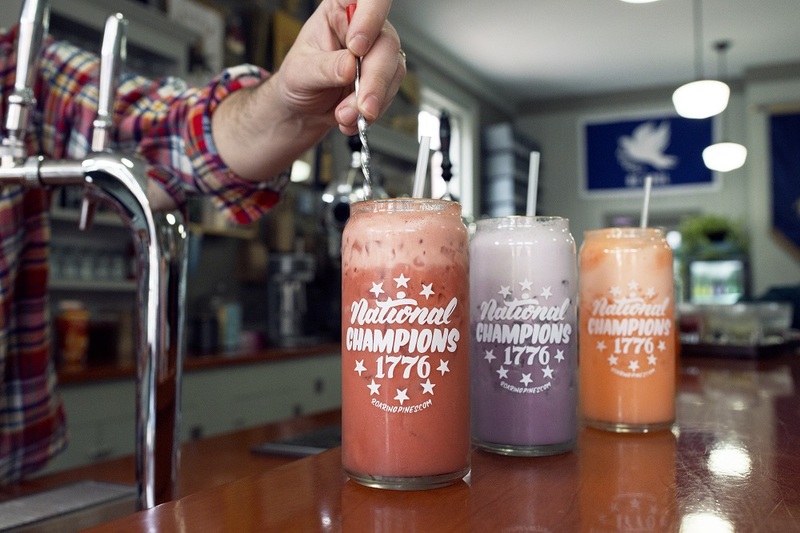 Order one of the unique cream sodas, like the Sam and Diane, a Cheerwine soda, whole milk, and vanilla concoction. Each drink is carefully mixed using homemade syrups and drinking vinegars, resulting in fresh flavors that you won’t find anywhere else. Never tried drinking vinegars before? Sample a few with a vinegar flight; our favorite was the mint lime and cucumber, a tart, light vinegar mixed with carbonated water for a fizzy and refreshing taste. After sipping on some of the unique beverages, peruse the shop, filled with all American-made home goods, from locally made brooms and mops to household cleaners sold by the ounce. Journey down from Church Hill to the Broad Street Arts District to check out an eclectic shopping district. For premium men’s clothing, Ledbury is a must. 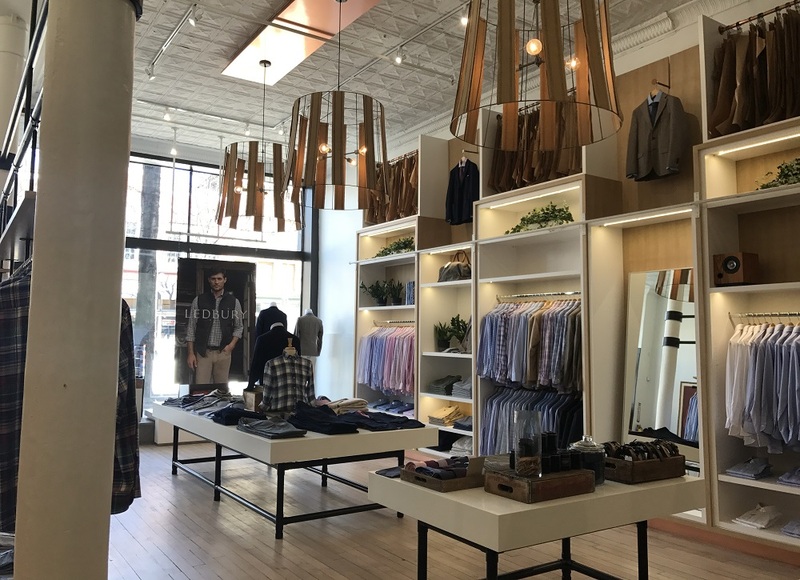 This Richmond-based business makes tailored men’s dress shirts, pants, and coats, in addition to a variety of luxury accessories. You’ll be hard-pressed to beat their level of quality and detail when it comes to men’s clothing. A few blocks away, Rider Boot Shop has the perfect dress shoes to pair with your Ledbury purchases (they also sell women’s shoes!). 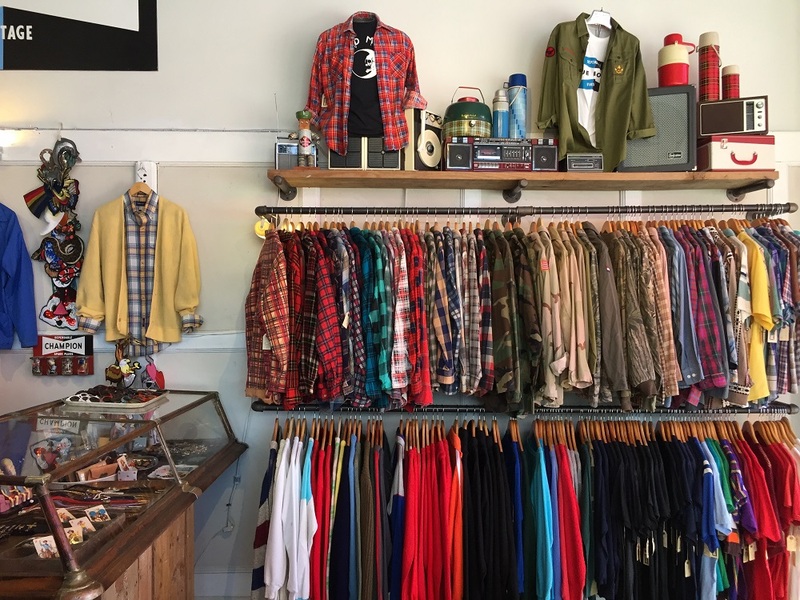 Shop consignment at Blue Bones Vintage and boutique women’s clothing at Rosewood Clothing Co. and Mod and Soul. In addition to consignment clothing, 68 Home carries eclectic home décor and furniture. You’ll find everything from 70’s era floral couches to unique stemware in this charming Broad Street staple. 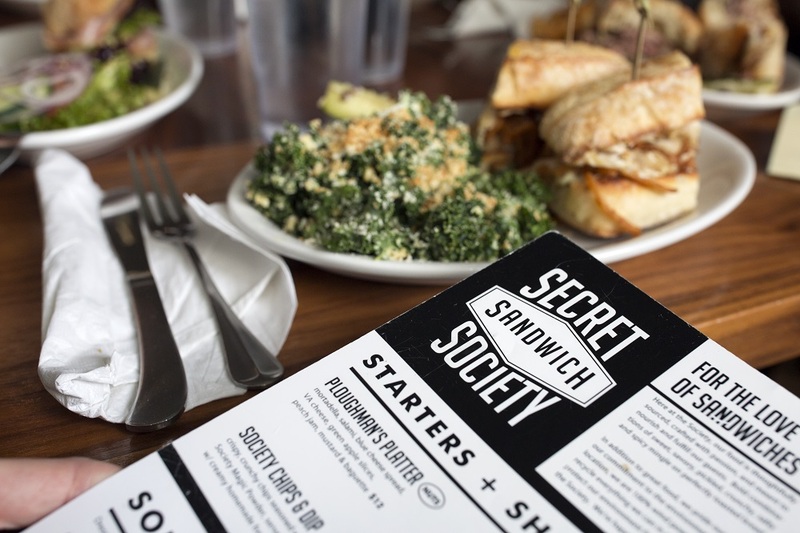 After your busy morning, grab some lunch at Secret Sandwich Society on Grace Street. The restaurant serves burgers, sandwiches, soups, and salads from thoughtfully sourced ingredients and runs entirely on wind-powered electricity. We loved their Presidential-named sandwiches, like the Kennedy, made with slow roasted pork shoulder, ham, swiss cheese, pickles, roasted garlic mayo, and mustard, all served on a brioche bun. 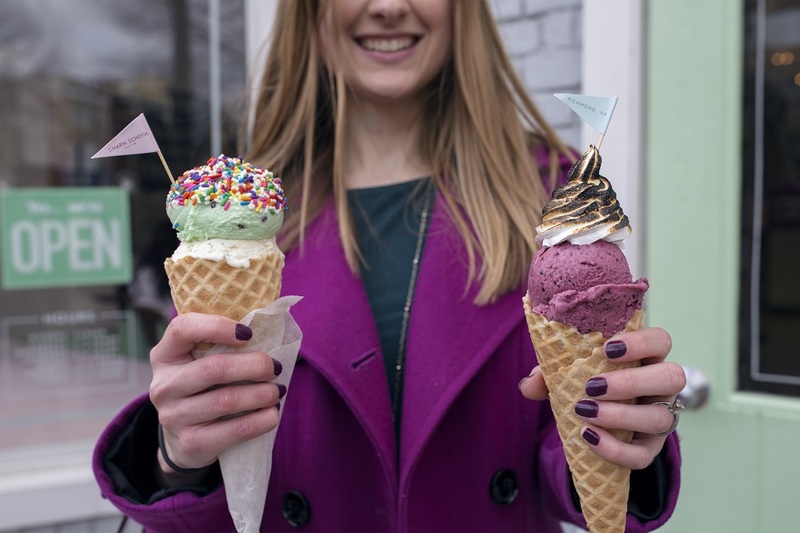 Since you’re on vacation, consider splurging on a little afternoon dessert at Charm School, an ice cream shop on Broad Street that scoops deliciously unique flavors like lemon poppyseed and their rotating “cereal milk” flavor (Captain Crunch during our visit). Top your ice cream with toasted marshmellow fluff for an Instagram-worthy dessert. If you feel like you need to work off some of the day’s dishes, a bike ride at Belle Isle Historic Park is the way to go. The riverfront island is encircled by scenic trails, with the city skyline as an appealing backdrop for your peddling. Added in 2017, Adventures in RVA have checkout stations throughout the city where you can use a credit card to rent bikes by the hour. 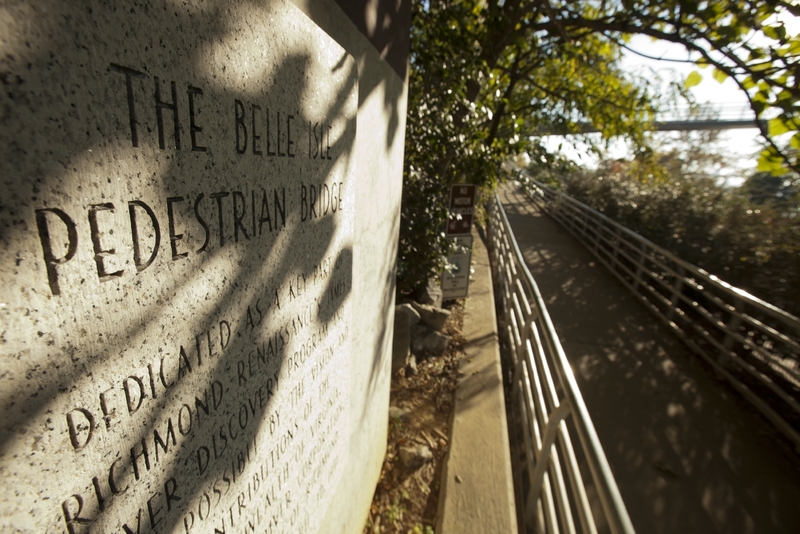 One such station is located near the footbridge that leads to Belle Isle. Head back to the hotel to check in and take a quick shower before departing for Scott’s Addition, a burgeoning Richmond neighborhood that is home to several breweries, distilleries, cideries, and even a meadery. 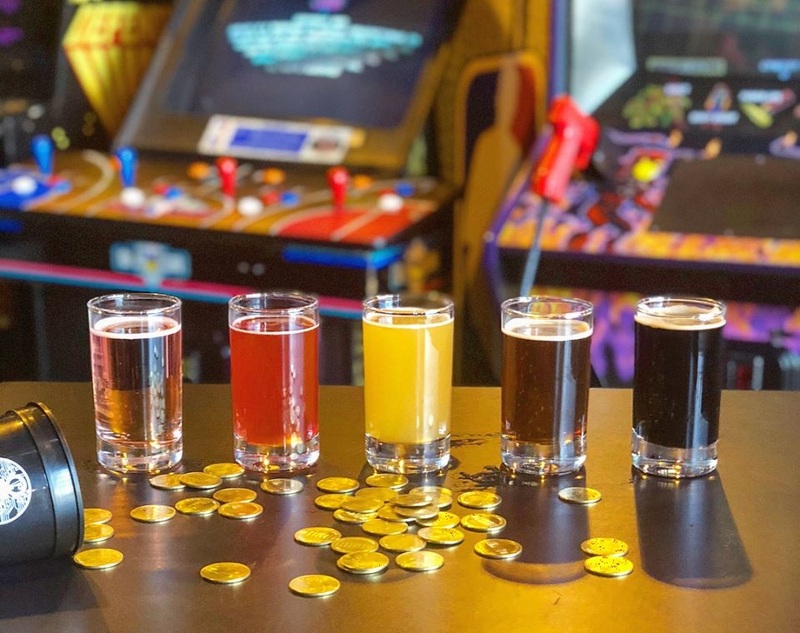 Start your brew tour at The Circuit Arcade Bar, a throwback gaming destination complete with classic console games like Mortal Kombat and PacMan, multi-player sports games such as skeeball and air hockey, and elaborate vintage pinball machines. Circuit Arcade also boasts an impressive array of craft beers, ciders, and wines on tap, with around 50 different selections available at any given time. Ask their in-house “draft master” for recommendations or sample as many as you like with your beer card, which charges for each drink by the ounce. Next up, swing by Blue Bee Cider to try their crisp, dry ciders. Opt for a tasting to sample all of the ciders, then choose your favorite for a full pour that you can enjoy on the private outdoor patio, a prime spot to catch a stunning Richmond sunset. 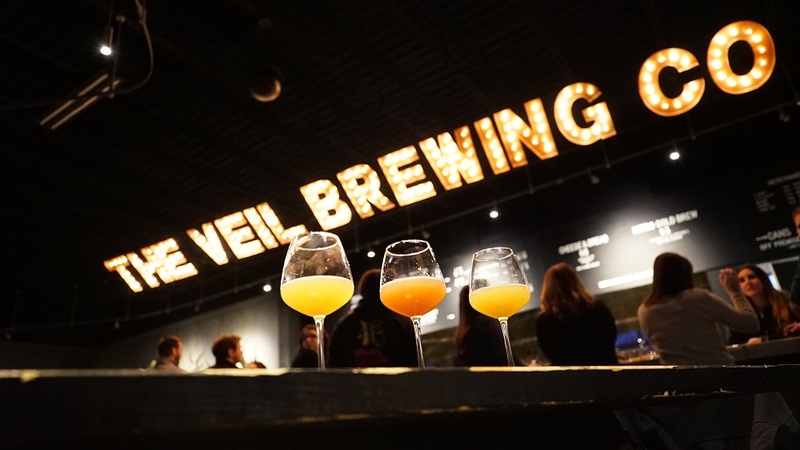 IPA lovers shouldn’t miss a visit to The Veil Brewing Co., located right around the corner from Blue Bee. They are known for crafting hop-forward wild ales using inventive hop and grain pairings, releasing new brews on a weekly basis. Each new release is greeted by enthusiastic fans lining up out the door (sometimes even around the block) to purchase multiple cases, and after sampling all of their draft options, we understood why. You’ll most likely find yourself carrying home a case or two of your new favorite beer upon leaving The Veil. One of the latest to join the Richmond craft beer scene, Vasen Brewery produces a full menu of interesting sours, gose, lagers, and saisons. On weekends, you can get a behind-the-scenes look at how the beer is made during the brewhouse tour. If you still haven’t satisfied your thirst for Richmond craft beers, drop in to Isley Brewing Company, another Scott’s Addition favorite that creates flavorful ales, porters, and everything in between. We recommend the “Choosy Mother” Peanut Butter Porter, which has distinct “peanutty” notes that meld with the dark brew for a very drinkable result. Maybe we're biased, but the #UrbanRoost is perfect at sunset. ? For dinner in Scott’s Addition, book a table at Lunch. and Supper!. The menu blends Southern staples with culinary twists that bring the dishes to a whole new level, like the Herd, a brisket, pork, and barbecue meatloaf wrapped in bacon and topped with a tomato-honey-bourbon glaze. A word to the wise: don’t miss out on the restaurant’s daily deviled eggs special. After all the breweries and cocktails yesterday, you’ll probably want to start the day with a solid breakfast. Go to Perly’s Restaurant & Delicatessen, just a few blocks walk from the hotel, for an authentic Jewish deli experience. 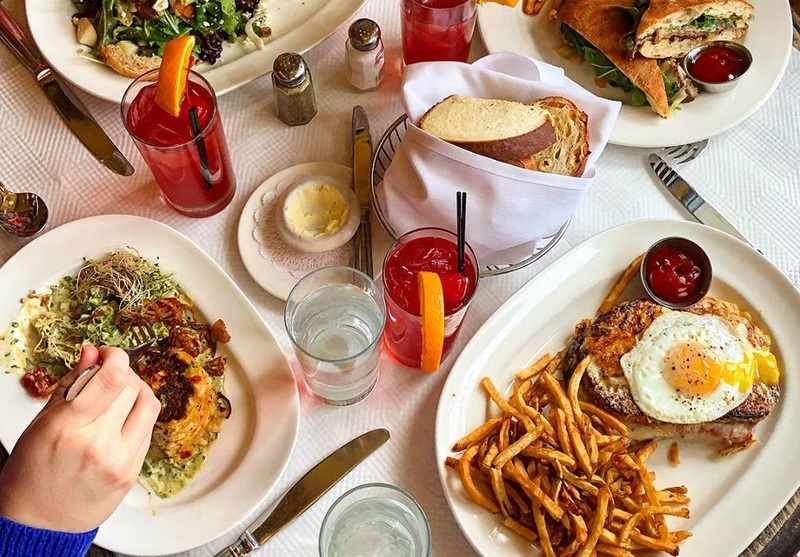 Options include classics like Corned Beef Hash and bagels topped with lox and cream cheese as well as breakfast takes on Jewish cuisine like the Cinnamon Babka Fresh Toast or the Benny Goodman: two potato latkes topped with smoked salmon, poached eggs, dill hollandaise, and salmon roe. 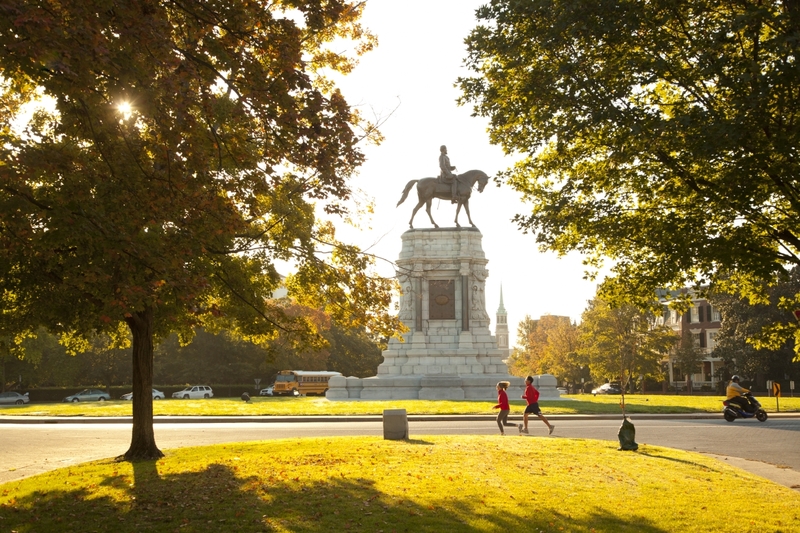 After breakfast, take a stroll down Monument Avenue, known for the historic monuments but also a popular spot for locals to lie out on sunny days, jog, or walk their dogs (if you’ve brought your pups along, a leashed jaunt down the avenue is a great Richmond activity for you both!). Head over to Carytown, a nine-block stretch of Cary Street packed with boutique shops, local restaurants, and historic sites. 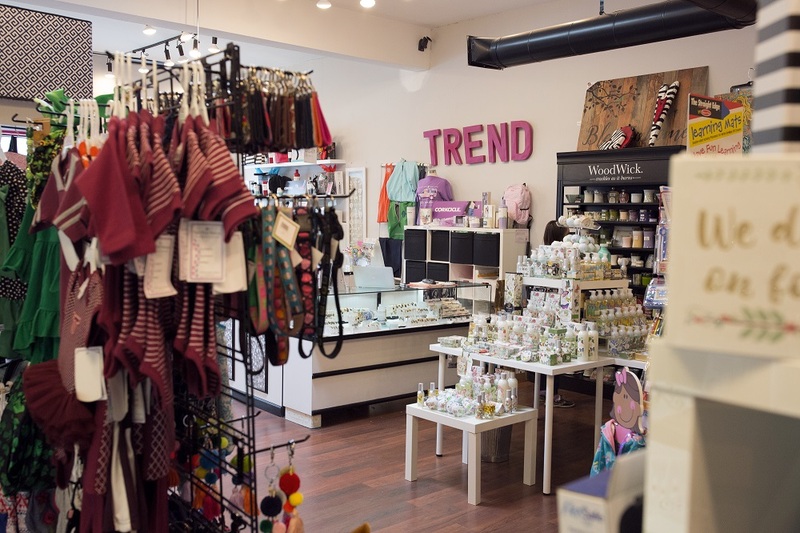 First stop is Trend., a small boutique that carries a wide array of goods, including home décor, cute women’s apparel, and items handmade by local Virginia artisans. 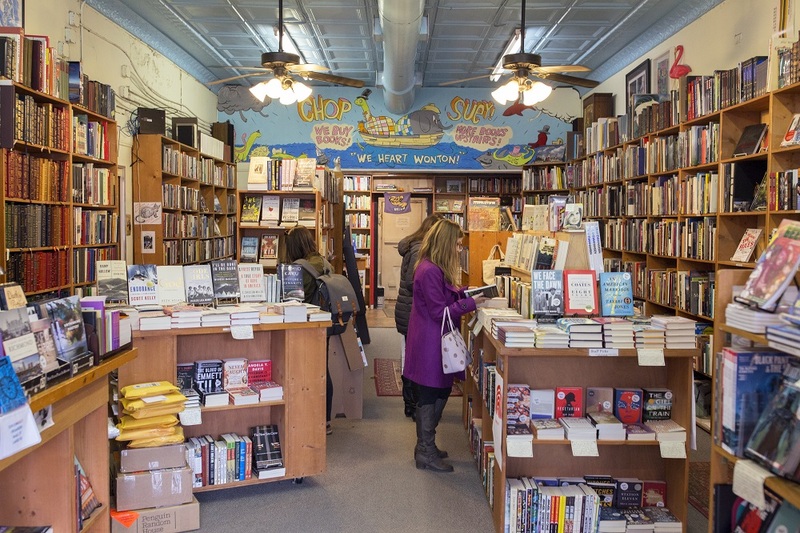 A block further down Cary, Chop Suey Books is a mainstay in the Carytown community, buying and selling used and new books and hosting special events and meetups in the upstairs section of the shop. If you don’t have a specific title in mind and are feeling daring, check out the front of the shop, where you can have a “Blind Date with a Book”. The shop wraps up books in solid parchment paper and twine, adding a tag on the front that gives a short description of the book, leaving your next read up to chance (or fate, if you prefer). Be sure to give WonTon the bookstore kitty a few pets before you leave! 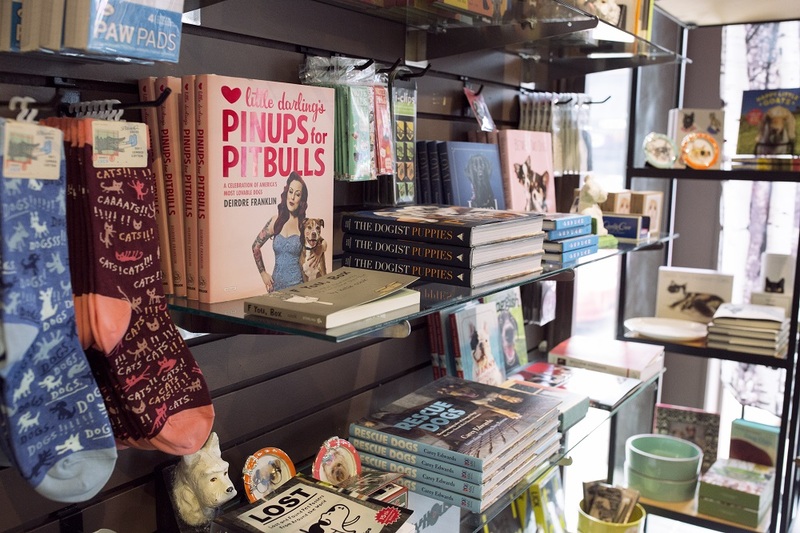 Be sure to drop into Mongrel, an “uncommon” gift and card shop across the street from Chop Suey Tuey. You’ll find yourself wanting to buy absolutely everything in the shop, from the fragrant candles to the eclectic barware, and with reasonable prices, you can afford to splurge a little on your picks. If you know anyone with a birthday coming up, browse the store’s one-of-a-kind card selection, filled with hundreds of cards that celebrate every occasion. They even pick out a Card of the Day to showcase their massive collection. Grab lunch at Carytown’s Can Can Brasserie, an elegant Parisian-style bistro. While the entrees are all fantastic, we like the half-soup-and-sandwich deal due to the restaurant’s incredible Onion Soup Gratinée and fresh, lightly dressed salads. The soup is hearty and rich, topped with about a pound* of melty Gruyere cheese (*a guestimate that may be slightly exaggerated). For drinks, you can always go with one of their seasonal craft cocktails or a pick from the notable craft beer menu, but if you’re thinking nonalcoholic, try the Eloise, the restaurant’s delicious take on a Shirley Temple. Infuse your afternoon with a little culture when you visit the Virginia Museum of Fine Arts on the Boulevard. The museum houses a permanent collection of more than 40,000 works of art that span over 6,000 years and additionally draws special exhibitions from all over the world (Terracotta Army just wrapped up). One of their most popular and rare permanent collections is the museum’s collection of Faberge & Russian Decorative Art. 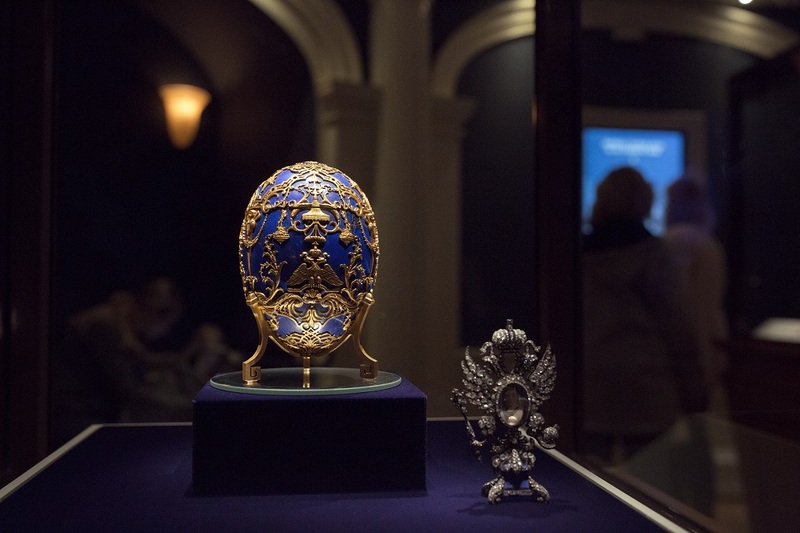 With about 200 pieces crafted by the Faberge artisans, the VMFA has the largest public Faberge collection outside of Russia. You’ll also spot famous artwork from artists like Georgia O’Keefe, Kehinde Wiley, Picasso, and Matisse. Before leaving, stop by Amuse, the museum’s upscale restaurant, for a cocktail and maybe an appetizer or two. Drive over to Maymont next, one of Virginia’s most stunning hidden gems. Originally founded as a private estate, the property was generously donated to the city of Richmond after the wealthy owners passed away, allowing future generations to experience the beautifully designed property. 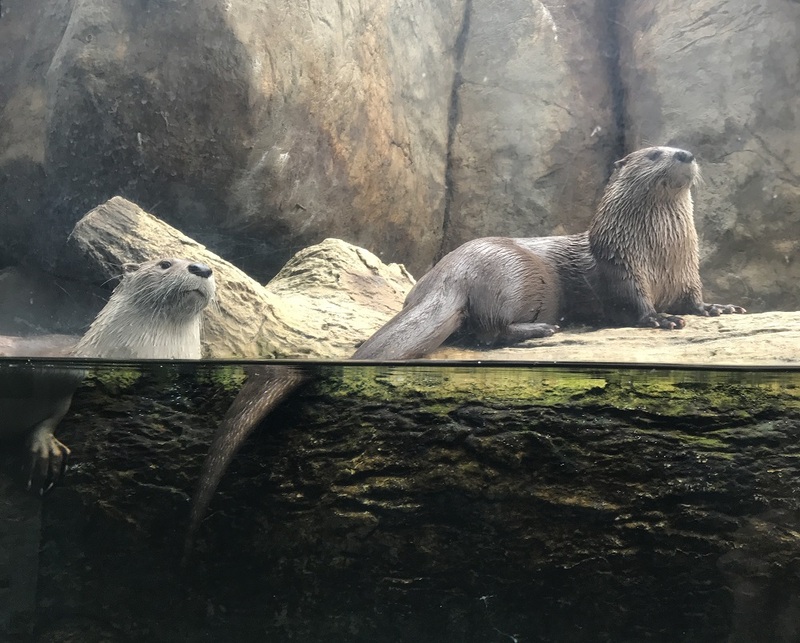 Start the tour at the Robins Nature & Visitor Center, home to dozens of fish, reptiles, and mammals found in the James River as well as a few animals found in Virginia’s Chesapeake Bay, including seahorses and catsharks. After finishing the tour at the otter habitat, go outside to explore the 100-acre estate. The Maymont Farm features goats, horses, pigs, chickens, and more, teaching visitors about farm life in a hands-on manner. Hike down the hill to the wildlife habitats, where you’ll spot American Black Bears, Bobcats, American Bison, Bald Eagles, and other Virginia wildlife. If you’re ready for a break, bring a picnic blanket and soak up some sun on the expansive grassy lawns before touring the idyllic Italian and Japanese gardens (another popular spot for Instagrammers). Before leaving Maymont, head to the historic estate mansion, open for public tours during select hours each day. 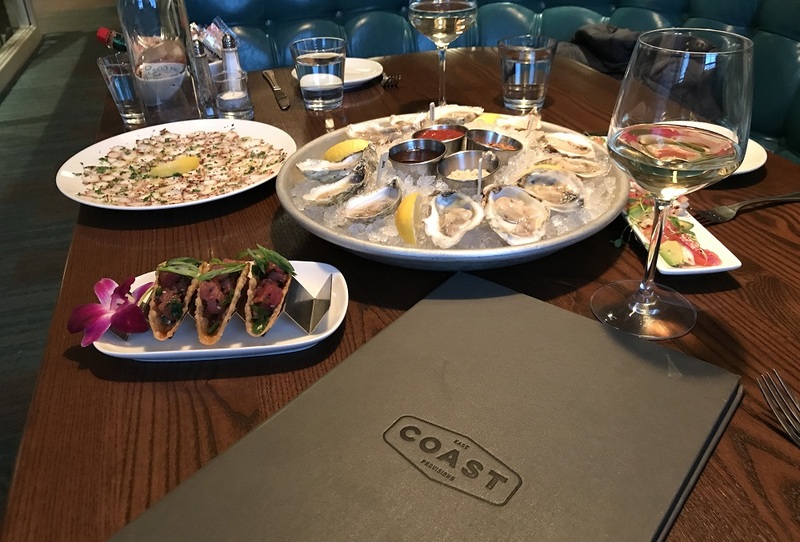 Back in Carytown, get dinner at East Coast Provisions, a trendy spot that serves up fresh seafood, much of it sourced from Virginia farmers. Start the meal with a dozen raw oysters, selecting a few different varieties to get the full Virginia oyster experience. For entrees, the restaurant has classic options like steaks and burgers, but if you’re a seafood lover, order a few of the sushi rolls. Save room for dessert and try either the House Donuts, Chocolate Lava Cake, or the Banana Bread. 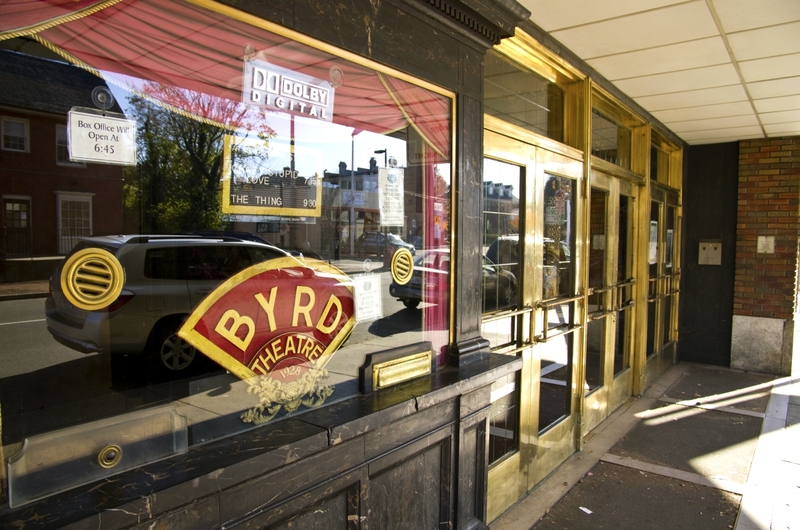 Catch a movie at the historic Byrd Theatre, with 7:15, 9:55, and midnight showings on the weekends. The theatre shows both classic and recently released movies for just $4 and sells concessions at affordable rates, and the recently renovated interior maintains the historic charm while also ensuring the theatre is comfortable and pristine. Still got a little bit of energy left? 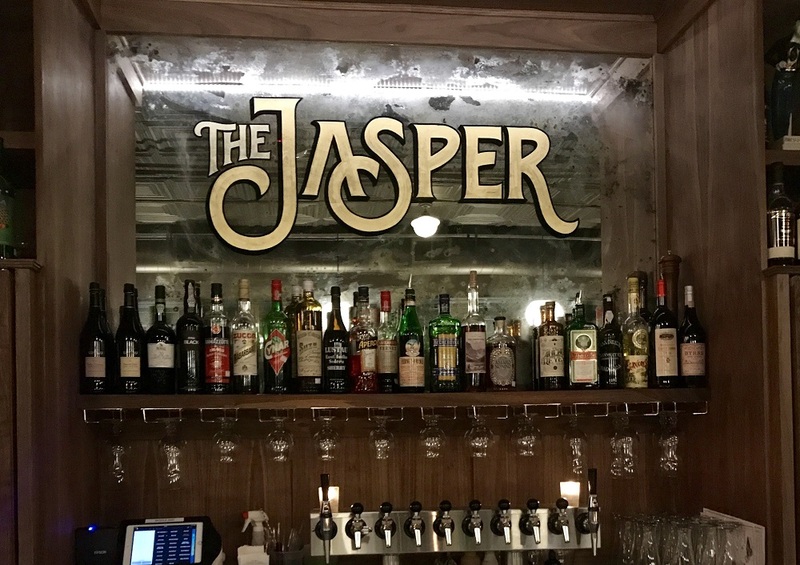 You’re on vacation, so stay up late and stop in to The Jasper, Carytown’s new cocktail bar for last call. They’ve reinvented the bar atmosphere, with a creative, upscale menu featuring elaborate cocktails at affordable prices, a wide array of craft beer offerings, and a world-class wine list. We will warn you: the Draft Zombie cocktail gets its name for a reason; be ready to Uber back to the hotel. 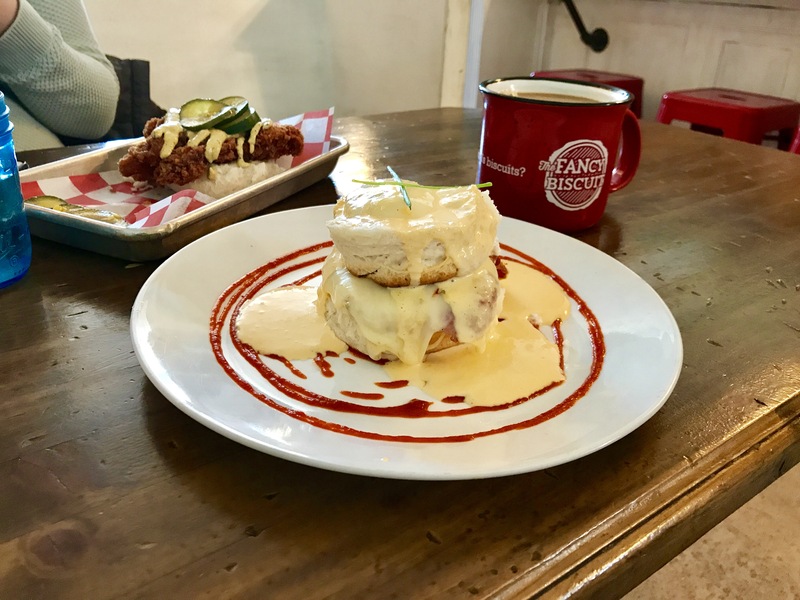 Sleep in on Sunday and grab breakfast at the FANcy Biscuit, named for its location in the iconic Richmond neighborhood, the Fan. And as the name suggests, they make some seriously awesome biscuits. The breakfast spot is pretty casual, and while the lines can get pretty long on the weekends, service is fast, and if a table isn’t available, you can always order your biscuits to go. 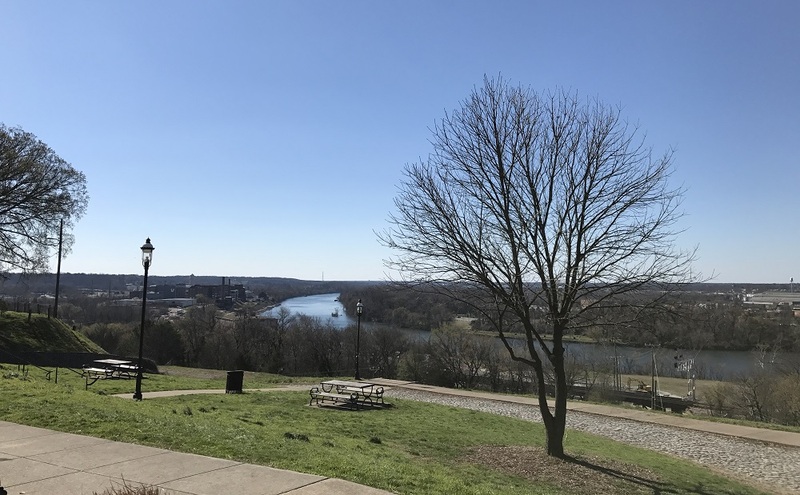 Drive back to the Church Hill area and make a quick stop by Libby Hill Park. Enjoy the scenic perch at the top of the hill as you look toward downtown Richmond and the James River, a sight that is called the “View that Named Richmond.” In 1737, William Byrd II stood looking down at the bend in the James River and was reminded of the River Thames in Richmond Hill, England. The rest, as they say, is history. At the base of Church Hill, Shockoe Bottom is the home of the Edgar Allan Poe Museum. The museum pays tribute to Poe’s time in Richmond and traces his eerie story through the rest of Virginia and beyond. 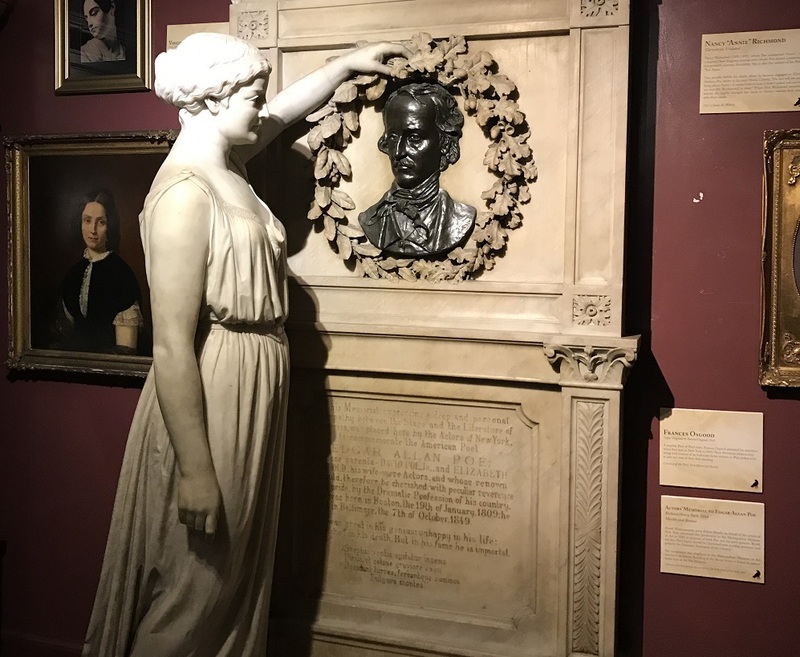 Peek at original manuscripts, first edition novels, personal belongings, and portraits of the famously morose author, and take time to kiss the Poe bust in the museum’s courtyard, built to reflect the verses found in one of Poe’s inspired literary works. 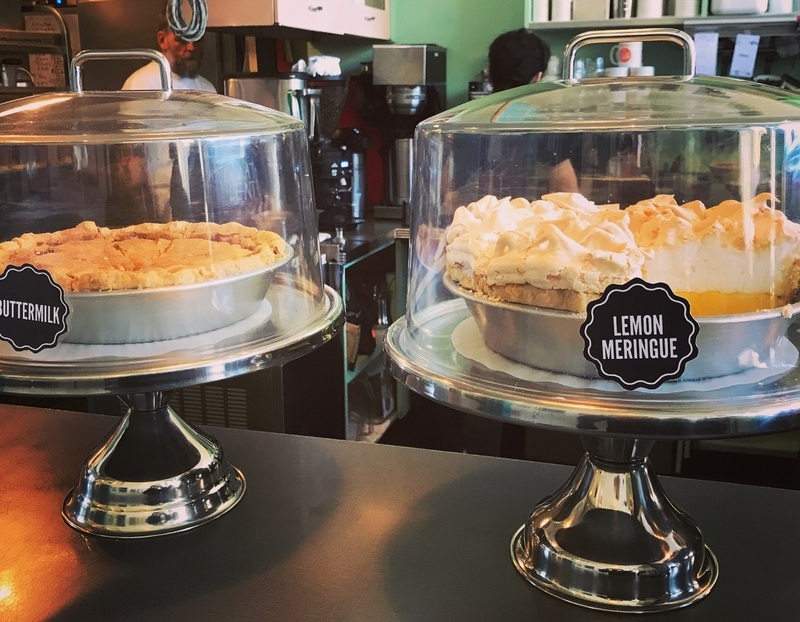 Plan to arrive at Proper Pie Co. for lunch a few minutes before they open at noon; this pie shop is known as one of the best around, receiving the highest praises from famous Chef and food critic Alton Brown during his visit to the capital. They bake an assortment of both savory and sweet pies, switching up the menu daily to keep things fresh and reflect the seasonal offerings. Wrap up the weekend with another epic historic spot in Richmond, Hollywood Cemetery. The grounds are surprisingly beautiful, and there are a number of notable historic figures resting inside, including two U.S. Presidents. 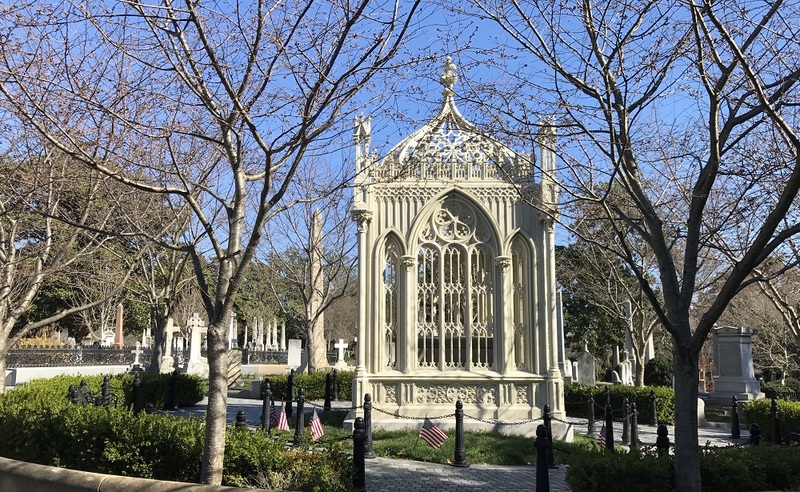 The cemetery garners attentions from visitors around the world, and has gained the distinction of being the second most visited cemetery in the United States after Arlington National Cemetery. 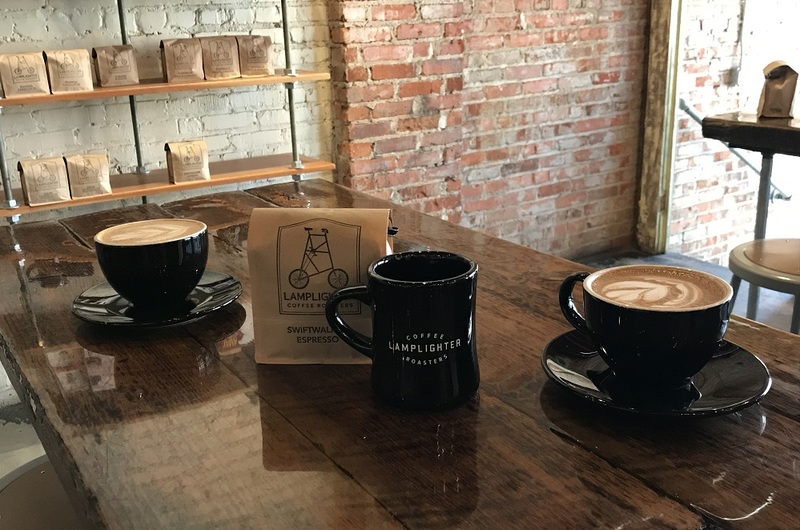 Before heading home, grab a coffee to-go at Lamplighter Roasting Co. The Richmond coffee company has three locations spread across the city, so you can choose the closest location for a caffeine pick-me-up before hitting the road. Stay tuned for our next Crush Friday trip, where we’ll take a Friday off work and spend the three-day weekend in Nelson County, home to the Nelson 151 Trail, the Blue Ridge Mountains, and endless outdoor adventure. The post Crush Friday: Your Mini-Vacation Guide to Richmond appeared first on Virginia’s Travel Blog.